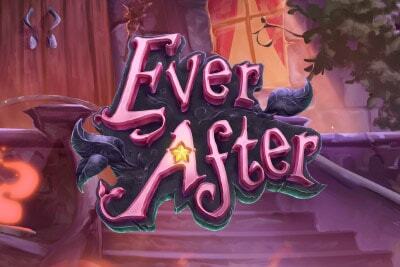 Ever After enchanting fairytale video slot offers you play over 5 reels X 243. 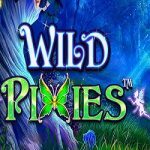 Keep your eyes peeled for the magical fairy appearing at random to reward you with stacked wilds and symbol upgrades. 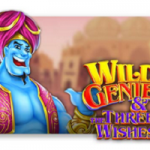 To add to your fairy fantasy is also a bonus round where unlimited free spins are on offer. Among the lower value playing card suit gemstones are cats, a wise owls plus male and female characters. The potion bottle is the standard wild. Faye the Harlequin Fairy transforms symbols into wilds and appears randomly on any spin to trigger the Magnificent Mirror. With a wave of Faye’s magic wand she can transform 1, 2 or 3 symbols anywhere on the reels. If she transforms a wild potion bottle the whole of that reel turns wild. If she waves her wand at a standard symbol it will receive an upgrade. The character symbols all transform into wilds. Faye can also upgrade standard bonus symbols so they deliver even more rewards if you land enough of them. This is known as the Mirror Magnificent feature. 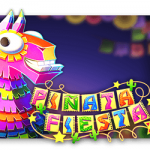 Land 3, 4 or 5 of the standard bonus symbol and you’ll trigger the Free Games feature with 6, 12 or 30 free spins. If the upgraded bonus symbols are in play you could end up with 6, 12, 30 or even 60 free spins. The Magnificent Mirror feature is in play throughout the free spins features with upgrades and expanding wilds and Unlimited re-triggers. The Mirror Magnificent feature is triggered randomly when the frame on reel 1 turns gold. Faye then appears and enchants 1, 2 or 3 symbols on reel 1. For that current spin, this is how to symbols will be enchanted. 1. 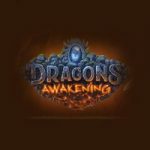 Wild – each wild that appears will turning into an expanding wild to give you wild reels. 2. 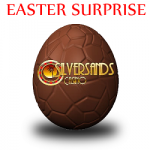 Bonus – it upgrades to become an Enchanted Bonus symbol with 2 or more activating the Free Games feature. 3. Girl, Boy, Owl & Mouse symbols transform into wild night, wild bard, wild wizard and wild queen respectively. 4. Heart, Diamond, Club & Spade symbols transform into Girl, Boy, Owl and Mouse symbols respectively. During the Free Spin feature, the Mirror Magnificent feature comes into play on every free spin. Up to 3 symbols appearing on reel 1 will become enchanted giving you more wilds and expanded wilds as well as upgrades symbols. This will dramatically improve your possible winning combinations.